I've been MIA (again) and it seems to be getting worse. In addition to this, I'll be returning to work on Thursday of this week and my schedule is now going to change drastically. I've enjoyed my maternity leave for the last seven months, but now it's time to go back to reality :-(. 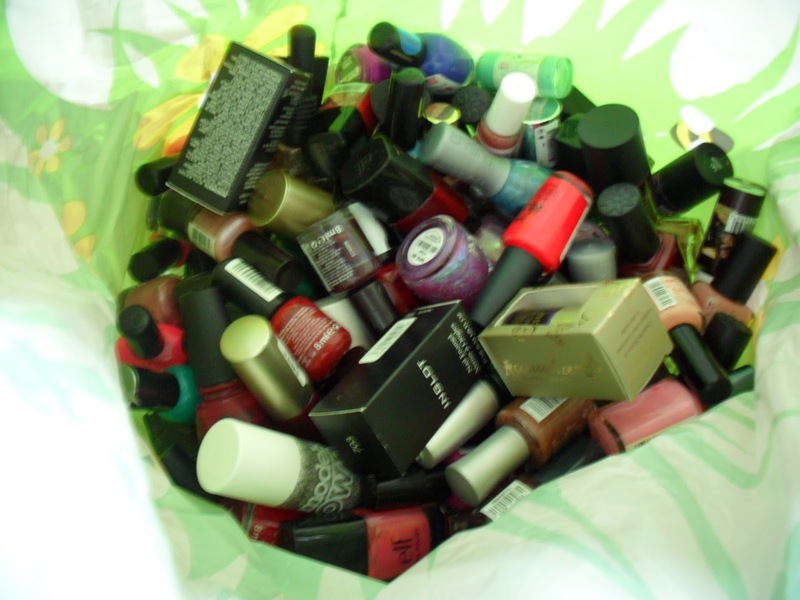 How else am I going to fund my polish habit if I don't? 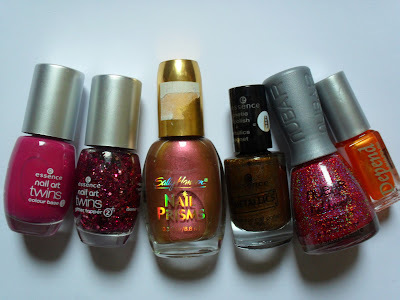 Some lovely new goodies that I bought for a bargain and swapped with amused Polish. 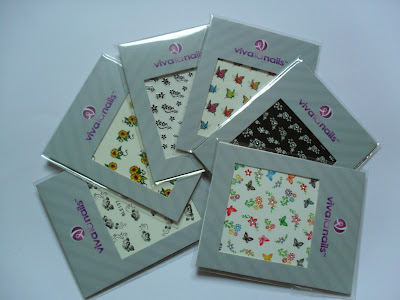 Some water decals that were sent to me from Vivalanails. I'll be doing a review of these as soon as I get an opportunity to paint my nails (which I gave a massive trim today). 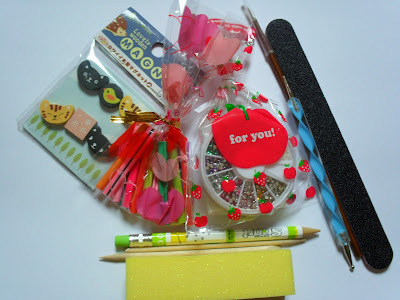 Here is the prize that I won from Nail Art Express after taking part in the Chinese New Year contest. If you are interested in entering any contests, Ying is actually running another contest with three fantastic prizes to be won. I don't know if I'll even have the time to enter myself, but I thought I'd share with you just in case you are game. I picked up these little beauties at Brent Cross on the weekend. 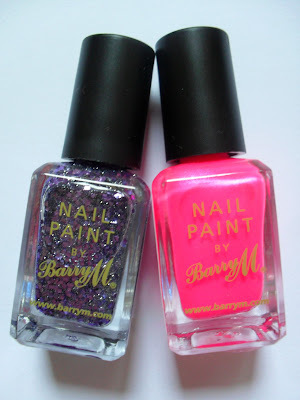 Fenwick's have a little Barry M stand in the front of the store. I'm also having a little change around at home. The polish trolley that I got for a Christmas present is now too small to hold everything so I've put it in the bathroom so that the kid's rubber ducks have a new home. I'm going to see if I can find something bigger tomorrow. So for now, this is what my polish will living in; two Asda shopping bags!